Construction was officially started in August of 2015 and was completed in December of 2016. 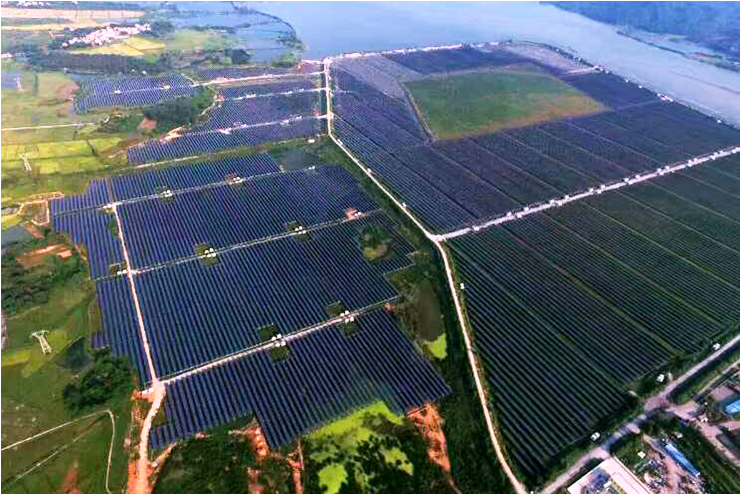 The project was constructed on top of 960 mu fish farm, located in Fenyi country, Xinyu city, Jiangxi province. The solar panels were installed on the mounting frames above the fish ponds. This would retain the original fishery production and in the meantime, significantly adding the PV power generation. The project can provide new electrical power energy source for the local area without increasing the pressure on the sensitive environment, definitely will play a positive role in Fenyi County local economic development, bringing obvious social, economic and environmental benefits. The overall project installation capacity is 35MWp, divided into 32 photovoltaic power generation units. 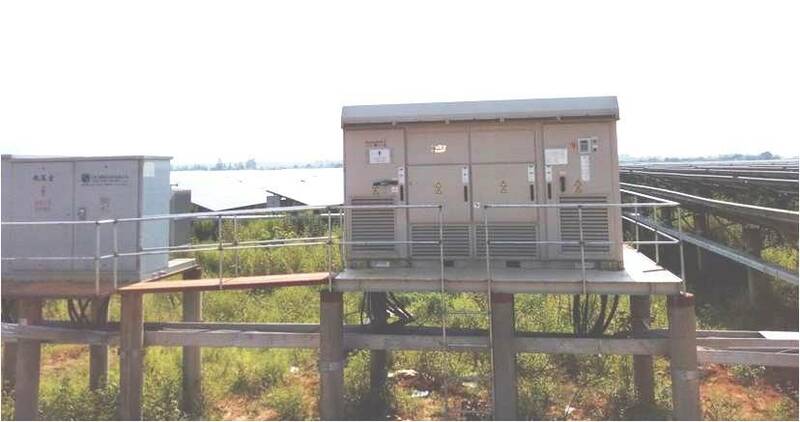 Each unit consists of DC combiner boxes, 2 PV inverters (total 64 sets of the Great Wall Energy AE-500 inverter) and 1 step-up MV transformer to 35kV. The 35KV MV bus combines together and further steps up to 110KV. The power is then feed to the LingBei 110KV substation through 5.5km of power cable. The project uses a fixed tilt angle installation mode, the optimized tilted angle of the PV panel is 20 degrees.